Then, you’ll need to visit your domain registrar, in this case eNom, and perform the following steps. 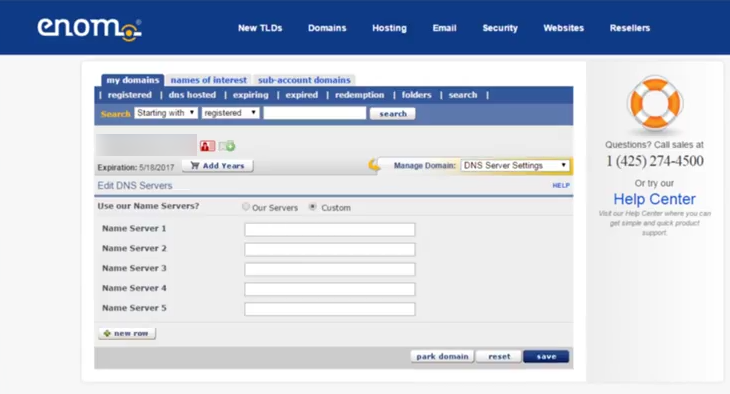 Log into your eNom account and select the menu Domains. Then click My Domains. Click the domain name you wish to edit. 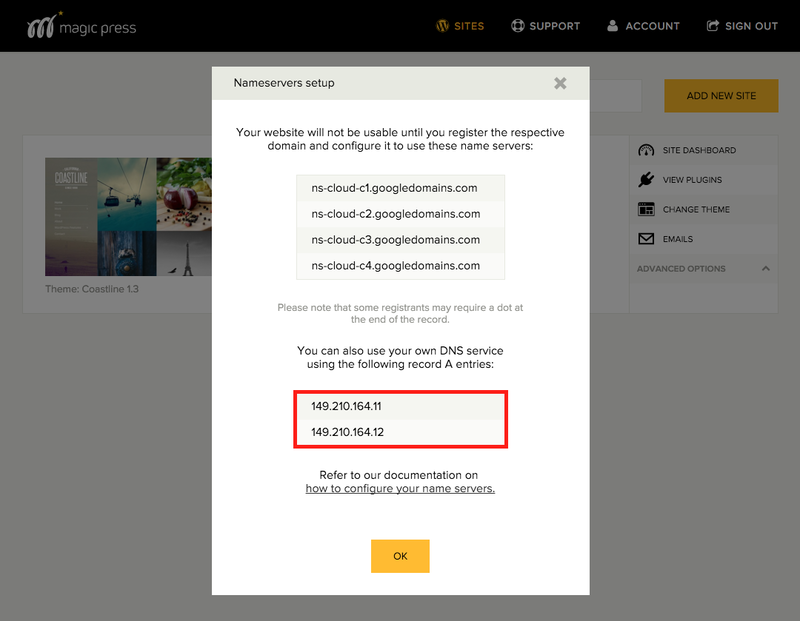 From the Manage Domain drop-down menu, select DNS Server Settings. If not already selected, select Custom for Use our Name Servers? Fill out the name server fields with the name servers provided in the MagicPress panel shown above. You may receive a pop-up warning stating “If you switch away from our nameservers, you will need to add host entries to your third party nameserver if you want to continue to use our provided services. See the Host Records section for this information.” If so, click on the OK button. You will receive a confirmation indicating that your update was successful. From the Manage Domain drop-down menu, select Host Records. Enter @ in the Host Name field, which corresponds to your domain. Insert the IP address provided in the MagicPress panel (shown above) in the Address field. In the Record Type drop-down menu, pick A (Address).